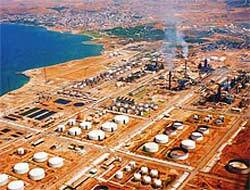 There are 8 biddings to the tender that will determine the owner of % 51 of Petro Kimya Company by privatization. Carmel Limak,TransCentralAsia Petrochemical, Zorlu, Hokan Chemicals, Çal?k-IOCL, Naksan-Torunlar-Toray-Kiler, F?rat Plastik, Socar&Turcas gave bidding to the tender that 18 entrepreneurs take pre qualification to join. According to the written explanation from the Privatization Administration: The time of biding for the privatization of & 11 A type lot,%33 B type lot which belong to Petkim Administration and apart from these %7 B type lot which belongs to Emekli Sand?? ?,totally at the range % 51 lot; is finished.There are 8 bidding reported.